We have done homemade salt dough before. It is great however the brown, burnt biscuit look really isn’t very appealing as a base to work with. Yes, a good coat of white paint can rectify this issue but…. what if I told you there is something else out there that is better. 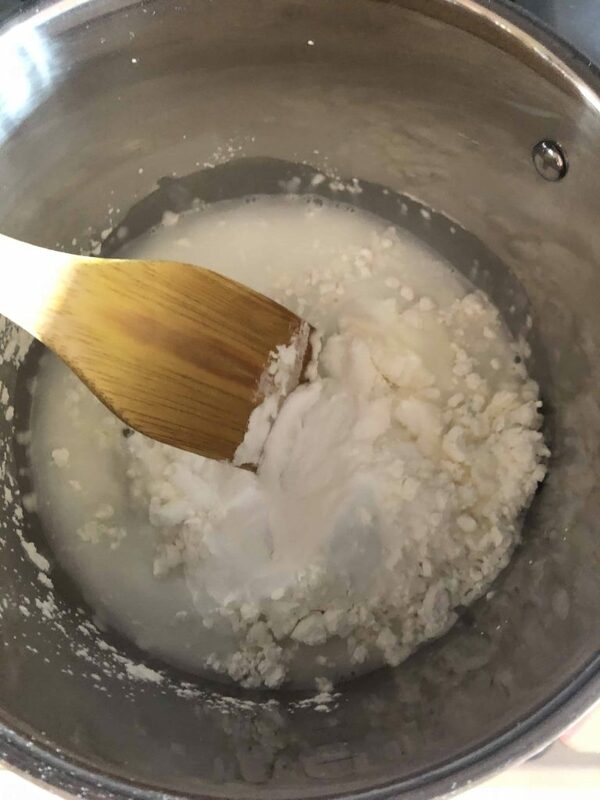 A substance that takes only 5 min to cook up that is malleable, beautifully soft, safe for small hands to handle and dries a beautiful crisp white. 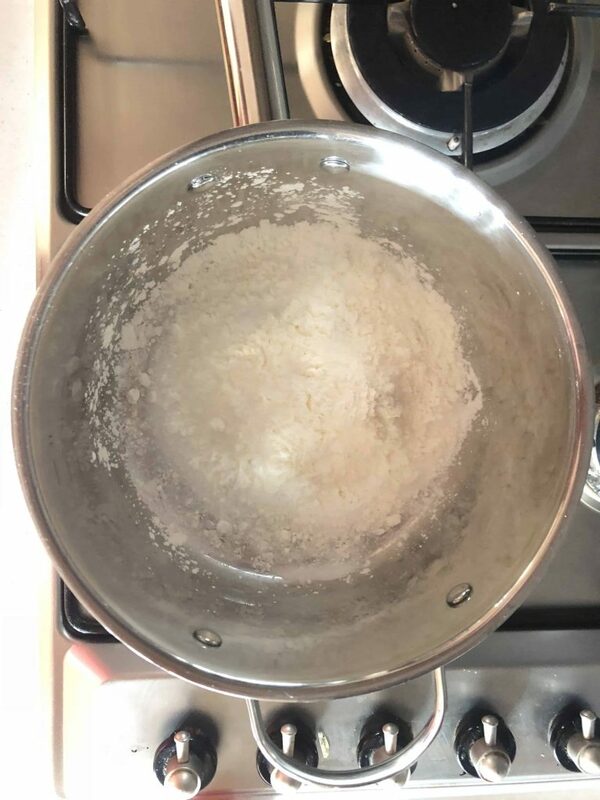 What if I told you that this substance could be made using pantry staples- yes, you likely have all you need in the pantry already! Winning! Corn flour is known for its silky, squeaky fine texture. It is such a versatile ingredient in a few of our play recipes. 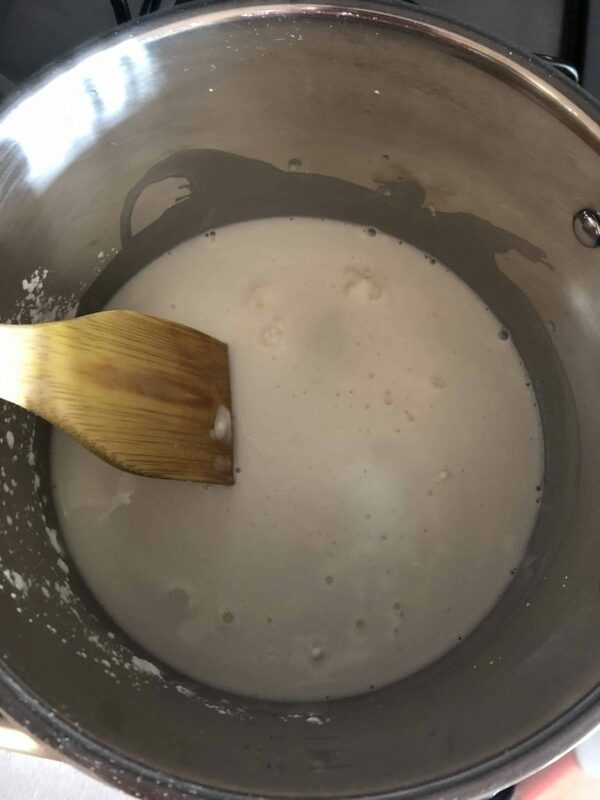 It can make the most mysterious Oobleck, the softest cloud dough and now the whitest clay we have come across. 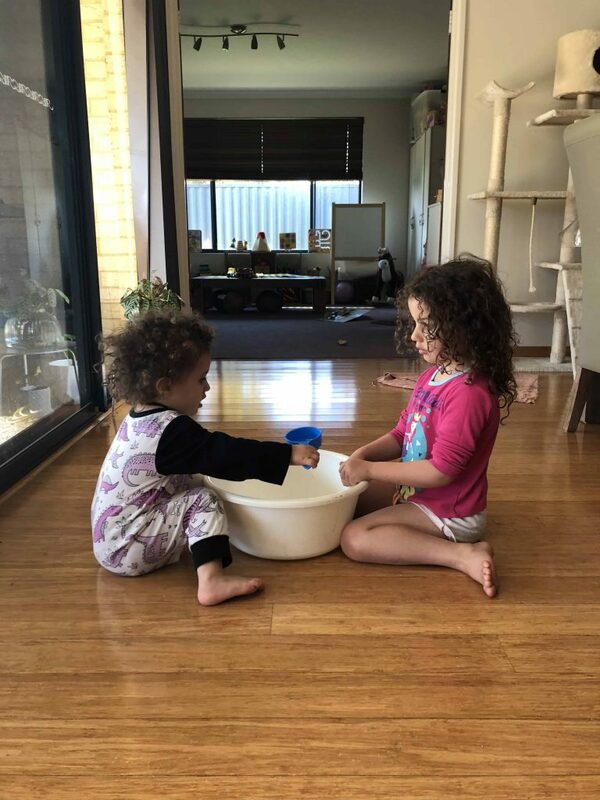 Miss 4 was keen to make a little keepsake for her Kindy friends to mark the end of the year. I won’t go into how excited I was to cook up a batch of this beautiful homemade clay for her. Would you like the recipe too? Throw it into a saucepan and stir over medium heat. Keep stirring until the clay comes together. It goes from liquid to clay very quickly so please keep stirring and watch closely. 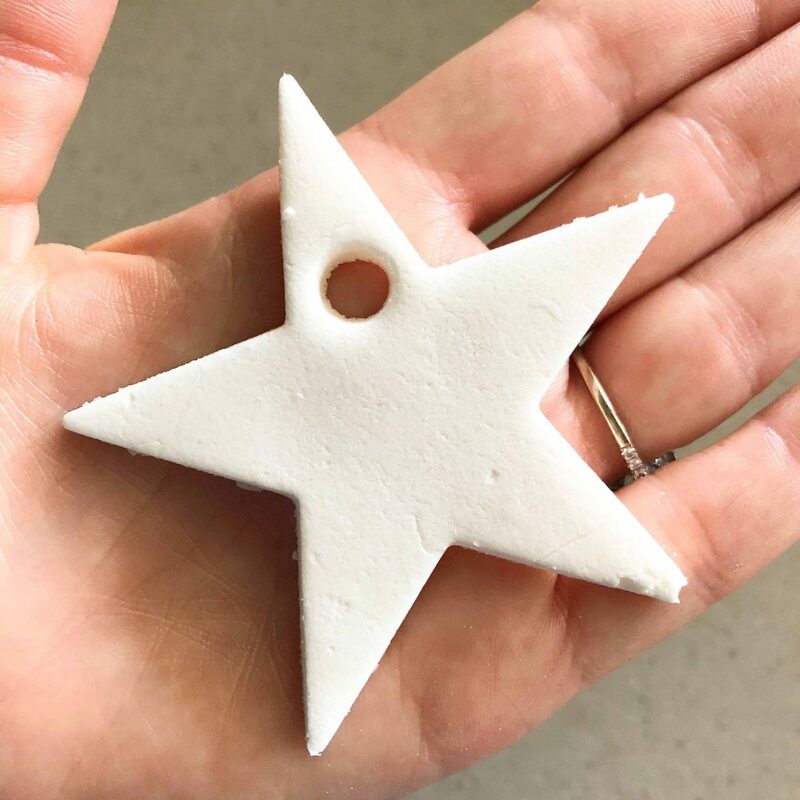 Turn your hot clay onto a silicone mat or baking paper and allow it to cool before using it. Please be careful as it will be hot! Once it has cooled enough to safely handle, you can roll it, squeeze it, poke it, poke things into it and mould it. It’s soft and easy to manipulate. [wpvideo CLvcMATJ ]To dry out your homemade clay, simply just let it air dry. Today we were pressed for time so I put them into the dehydrator at 60 degrees for a few hours otherwise they would usually take a couple of days to dry completely. You could also slide them into a very low oven for a few hours. If you keep the temp low then your should still have that crisp white finish. What could you make with your clay? We would love to see your creations! Feel welcome to join our community on Facebook and share photos of your treasures. 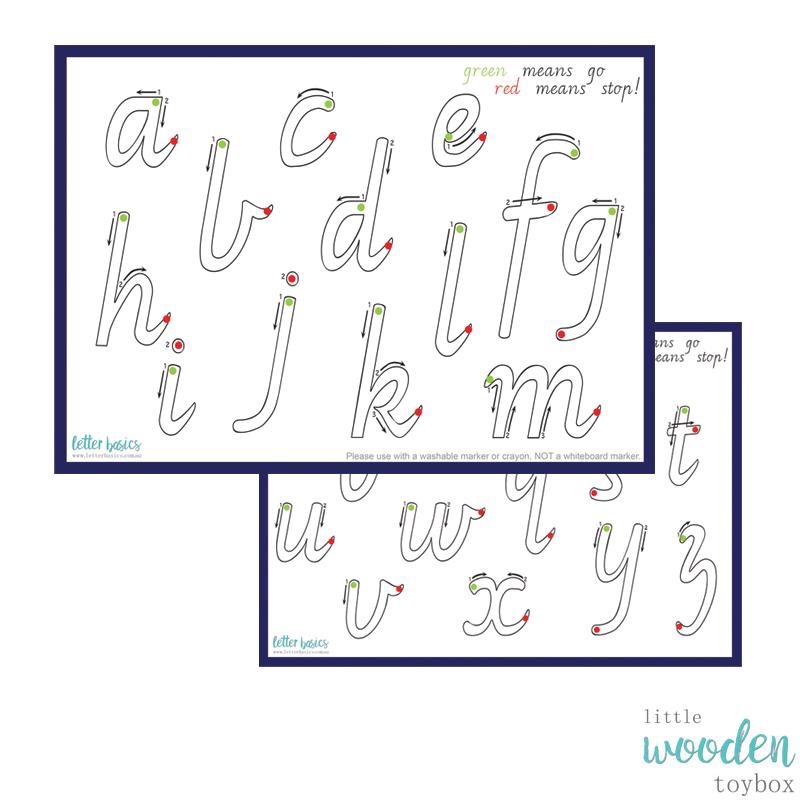 Make your own Letters and Numbers using your Corn Flour Clay and Letter Basics! Next ArticleLearn about Adding and Subtracting with Frogs in a Pond! Love this fun idea and how simple (and non-icky) the ingredients are! I definitely want to try this with my toddler. Honestly, I never knew it was that simple. My boy will have a field day with this. 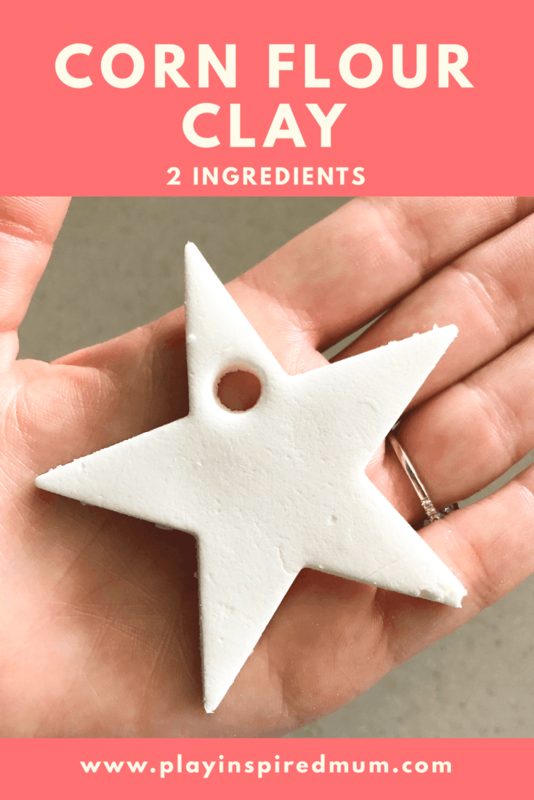 I love making shapes with clay, and this looks made from safe ingredients so I can make it with my toddler and have some fun. Thank you for sharing. I need to try to do this with my kids. They’d have fun with it, I’m sure. My daughter would want to paint them! oh I love this! I wanna do this with my toddlers tomorrow! This looks like a fun project! I’m going to see if my kids would like to do this one day. This sounds like a nice play dough. I like that it is moldable and my boys could make cool things with it. Goodbye playdoh, hello corn flour clay. 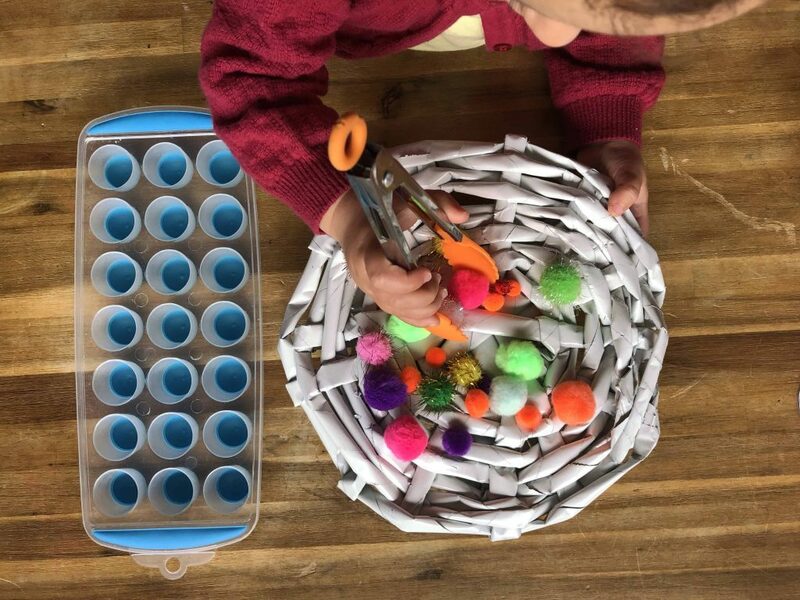 It is so interesting how you can use stuff from the pantry to use in art and craft. 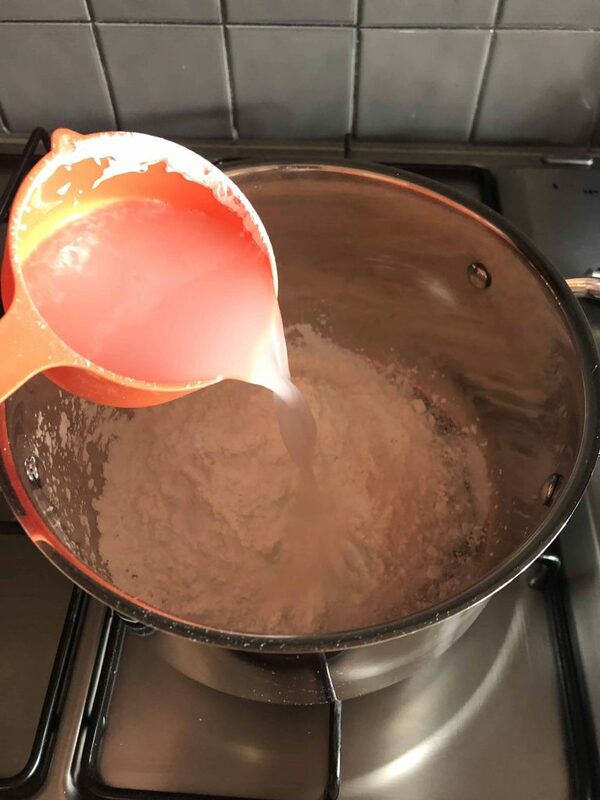 I do remember as a child that you can use a mixture with oats to make a strong glue. It’s so genius that you can use ingredients from your kitchen to create this type of clay. I can imagine children would be in love with it and create so many different figurines out of it. You are a forge of always incredible ideas! I will find and I will tell you the result! oh wow you are so creative!! I would like to be creative too and have more time to try to do it. 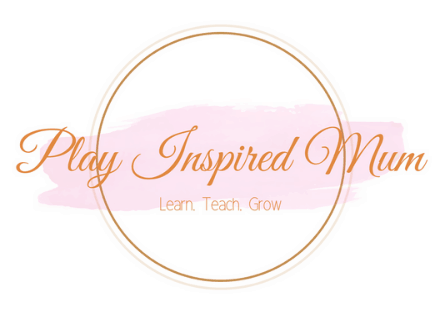 Love the ideas on your blog. 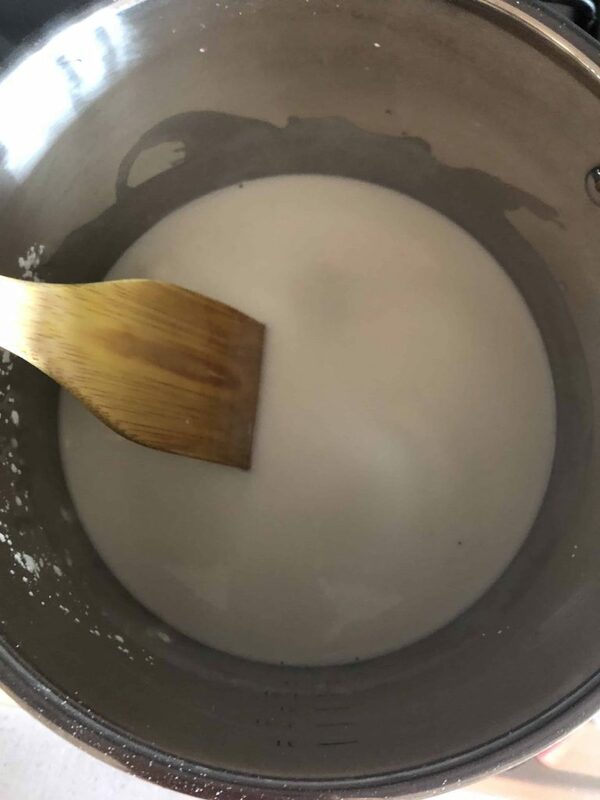 I made clay with baking soda before, but I rather keep that for cleaning. Corn flour is cheaper for us too. Oh wow! This is actually good for DIY projects. I have so many DIY projects that I want to do and I will definitely include this! I would love to hear how you go! It really is a very versatile medium. Imagination is the only limit to its possibilities! Perfect for any diy projects of any occasions. For sure! I made up a batch to fill in an hour the last week. The kids made sculptures one day then painted them a few days later. That’s an interesting playful activity that I would love to try with my kid. Infact I will explore more ideas on your blog. It really is so quick to make and the kids love it every time. Thanks for stopping by and by all means have a browse. Love what you see? Subscribe to the mailing list to be amongst the first to see the latest posts! I used to love making clay when I was younger. 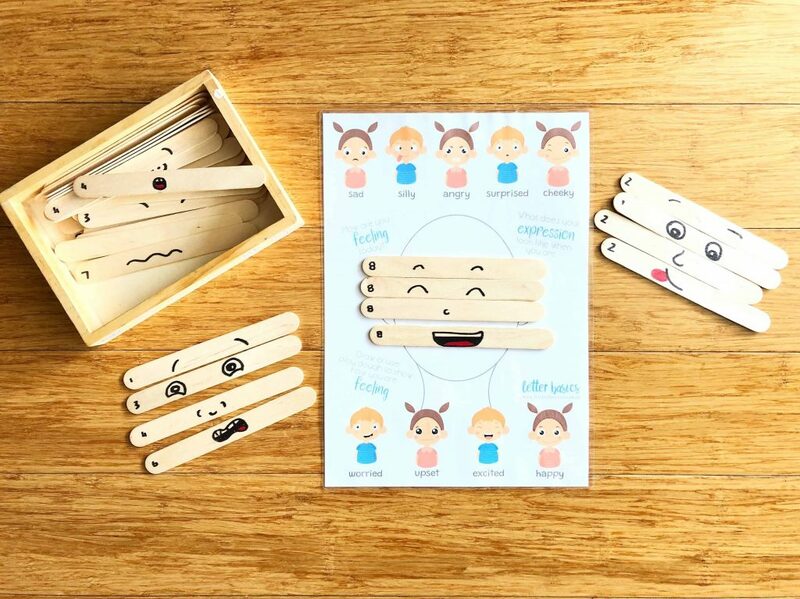 It’s a great idea for kids to be creative and so simple to make. Looks nice, I need to try this, tired of spending money on the play and clay. Wow..this is an awesome art idea! I love how the product looks after. Need to made one for my kids. What a great craft idea. 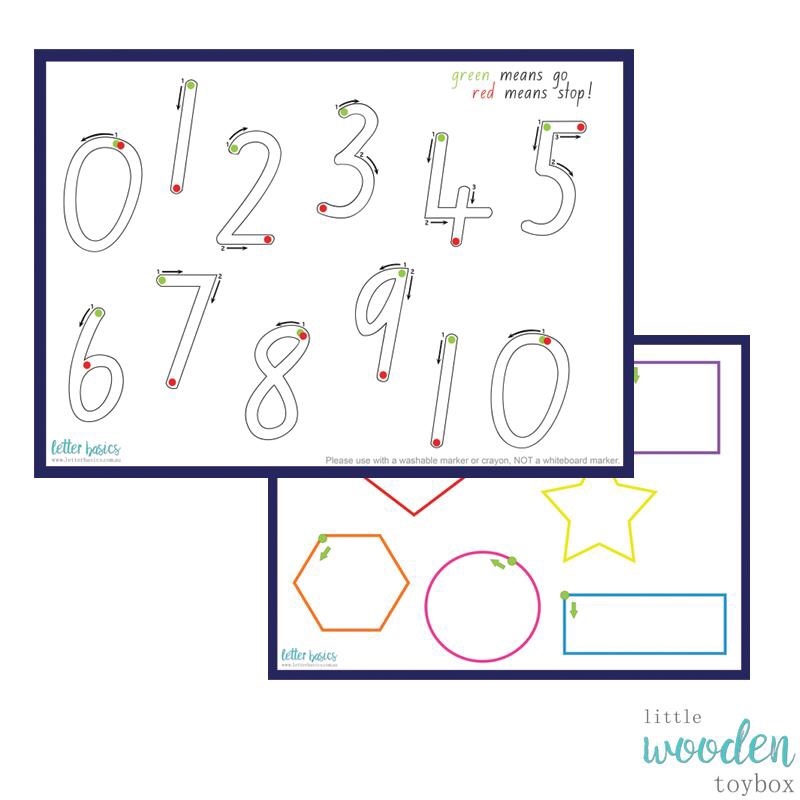 This is perfect for a kids craft day. What an awesome craft idea! I haven’t tried anything like this before, but I know my son would have so much fun doing this. We’ll have to give it a try this weekend. Thanks for sharing!